Q. Is there a room that students can use to practice presentations with a projector? Yes, the library does have a dedicated space for presentation practice. The library has a large group study room, Room 2115 available for students (must have at least 2 people to check out) specifically for this purpose. 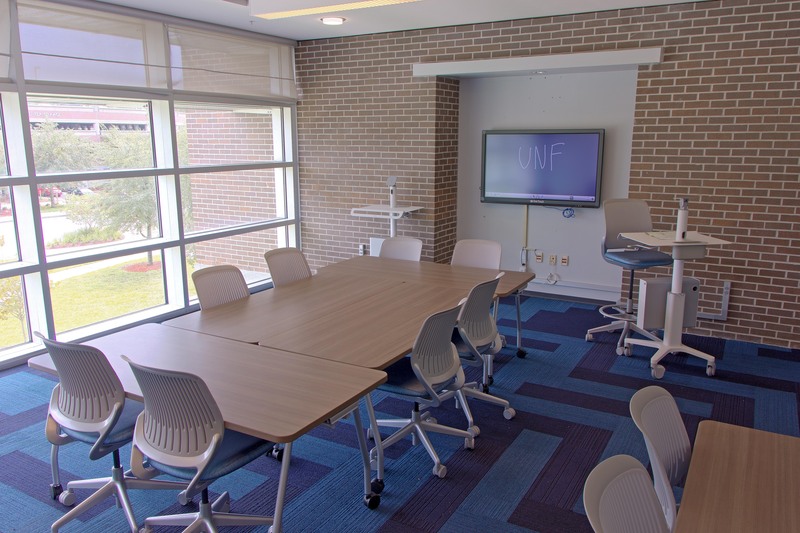 The room includes a large touch enabled display which students may connect to their own devices to practice presenting.